It's Not Work, It's Gardening! 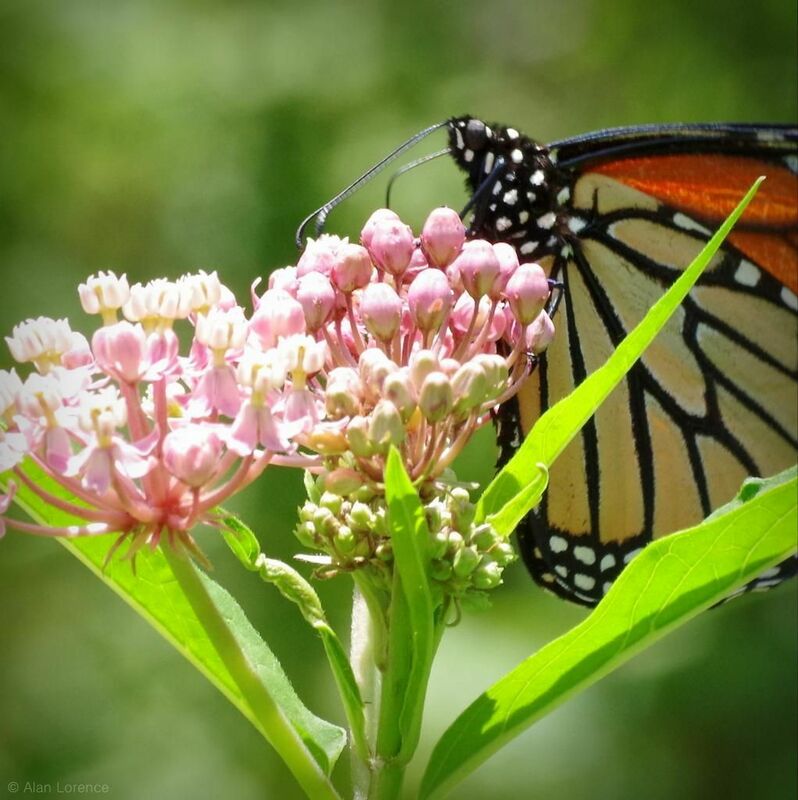 : Finally, some monarch activity! My patch of common milkweed (Asclepias syriaca) is quite large this year, probably bigger than it should be, as it has taken over a good portion of my prairie beds. 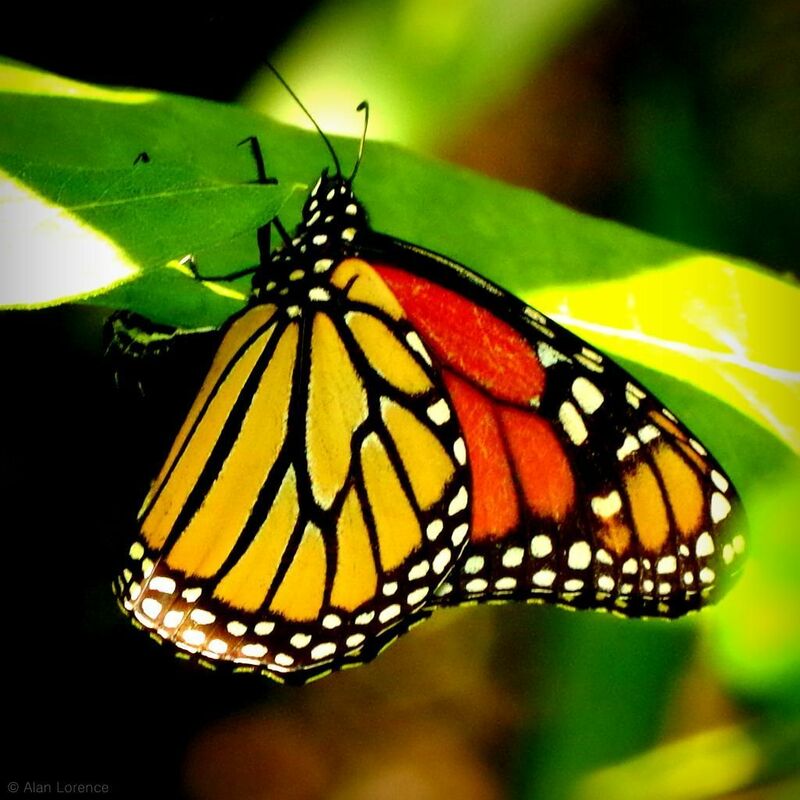 More for monarch butterflies to find was my thinking. I check for caterpillars a few times each week, and so far, nothing. 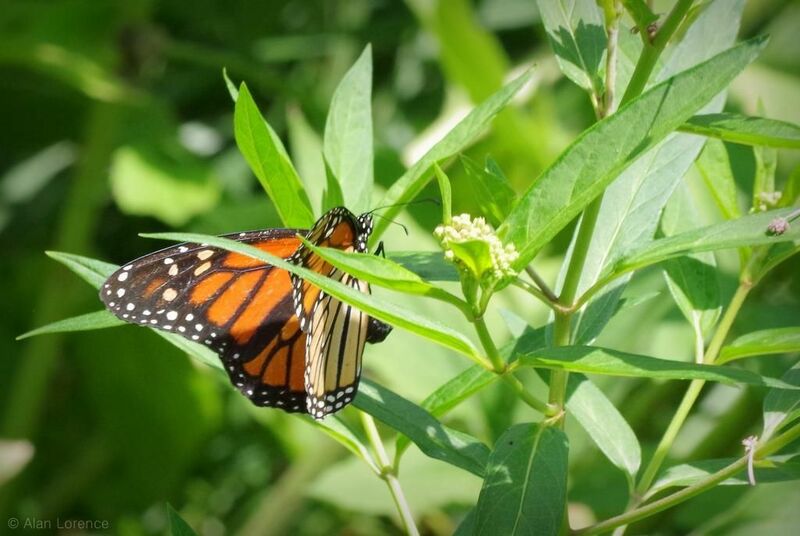 I've seen a few monarchs cruising around the garden, but what were they waiting for? Have I "sacrificed" my beds for nothing? 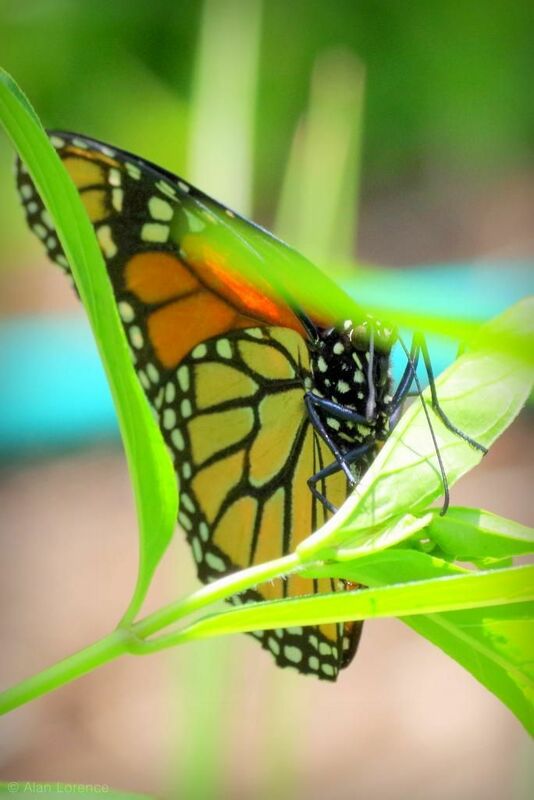 This past Saturday I noticed another monarch cruising around, but this one was different -- it was actually landing on the plants! And not just for the nectar -- as the syriaca has finished blooming. Nope, this female was laying eggs! Or at least it appeared to be, bending its abdomen to the underside of each leaf on which it landed. After checking the leaves though, I couldn't see any eggs. 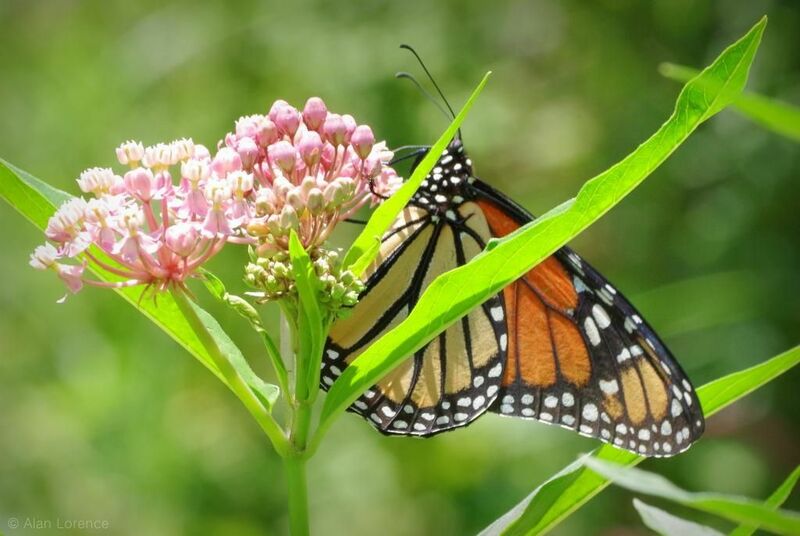 It was landing on my other milkweeds too, the ones that are just blooming now (Asclepias incarnata I believe). I hope this butterfly wasn't just going through the motions, but I guess I'll let you know in a week or so. 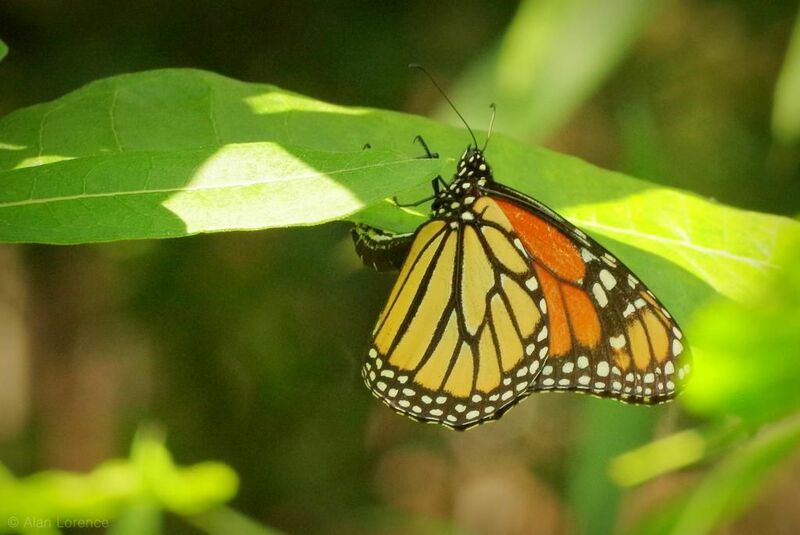 I've been looking, but Monarch sightings have been very few. I saw one that's so small I think it must be another type. The last few years I've been seeing more swallowtail butterflies than Monarchs. It's amazing what wildlife you have in your garden Alan! How exciting! Great photos, too. 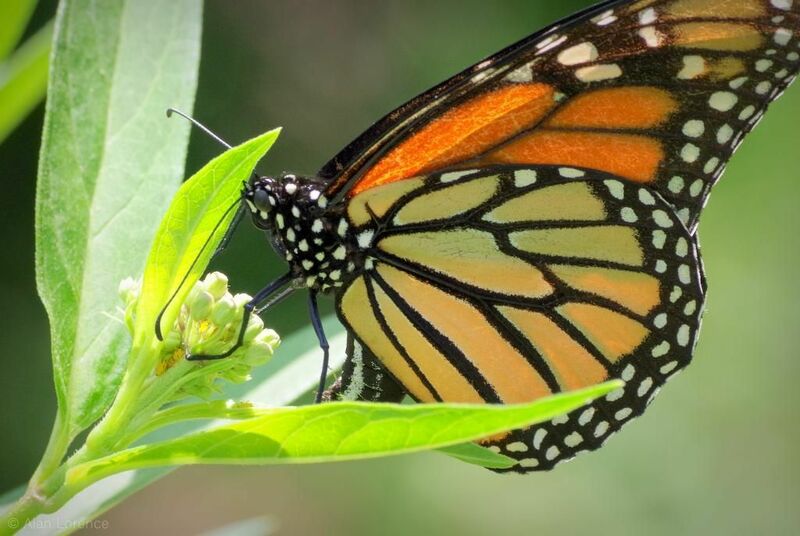 I DO hope there are eggs somewhere in your milkweed patch. Even if there are no eggs, what a treat to see such a visitor. So worth the sacrifice! and the pictures are so vivid.